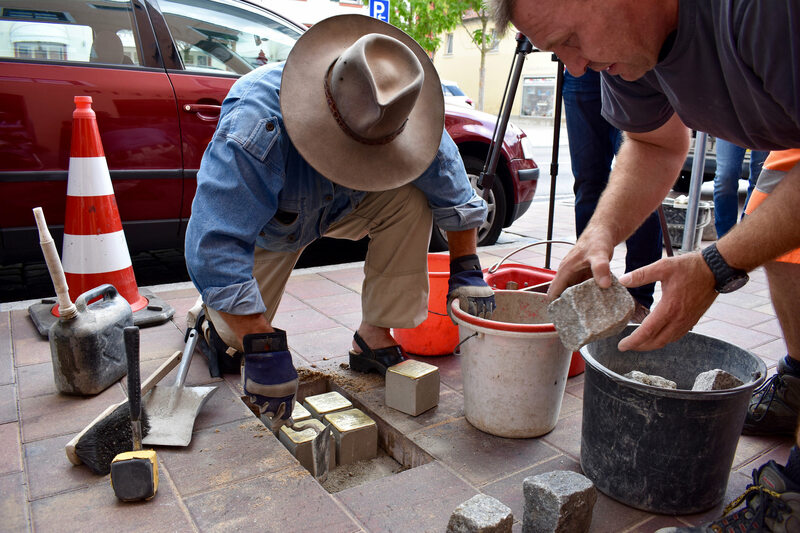 ANSBACH, Germany (August 8, 2018) — New “Stolpersteine” (stumbling blocks) were recently placed for former residents of Ansbach to commemorate their fate during World War II. Residents and officials from the City of Ansbach, as well as the German artist, Günter Demnig, who crafted and engraved each Stolperstein with a victim’s name, date of birth and fate, placed the brass blocks in front of the victims’ former residences to remind passers-by of the victims’ fate during the Nazi regime. The first commemoration in Ansbach took place in 2014 and has been annually observed since.